These are people who I will never, ever get sick of for I will be spending the rest of my life, celebrating every birthday with them. 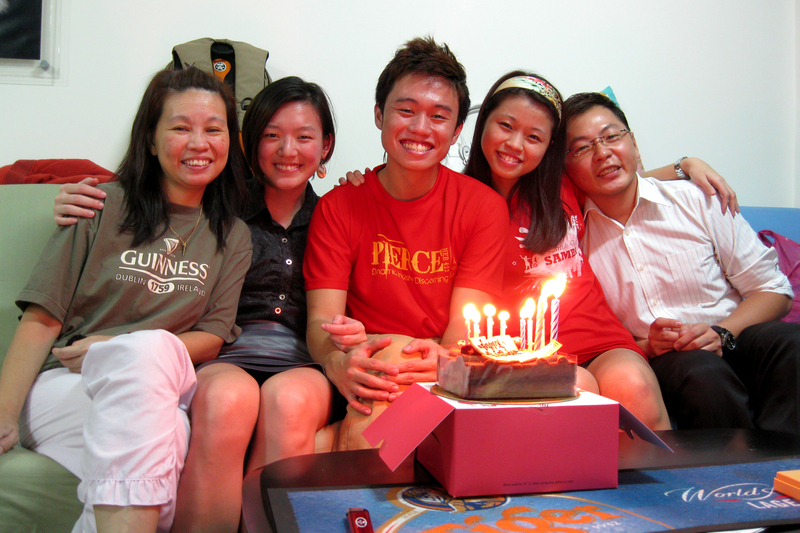 (This, incidentally, is the first time we’ve ever cut cake in our Ghim Moh flat since we moved here in 2007! And a long while since we celebrated a birthday with a cake!) I love you all, more than anyone else in the world. You are my family and I am proud to be a part of this bloodline. To Mummy especially – without you, there’s no me; you are the reason I am able to celebrate the day of my birth. Thank you! Kindly ignore the extra candles on the cake. And yes, I was really, really happy. I’ve been so blessed by the scores (I gave up counting!) of well-wishes that have poured in through Facebook, email, SMS, phone calls and in person! 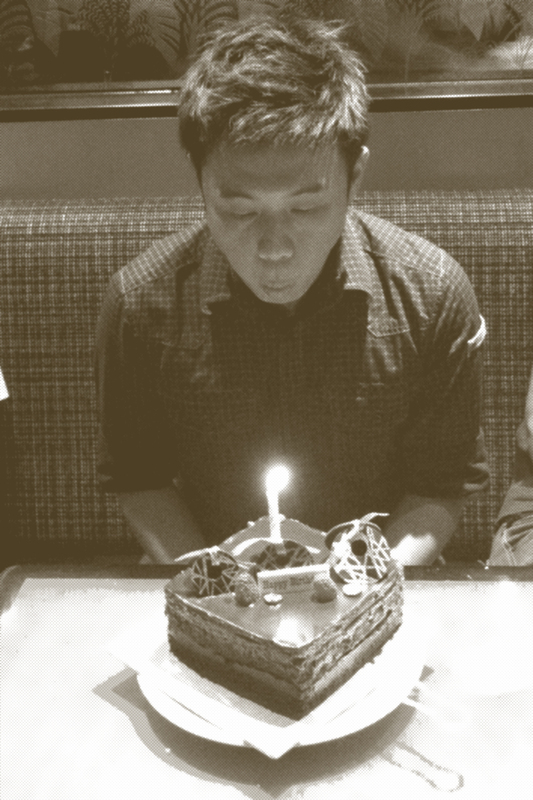 Thank you for making me feel cherished on this day. I’m blessed to be surrounded by friends like you; I’m tremendously touched by all your kind gestures! Words are my love language and I cherish all the notes that I’ve received, especially the snail-mailed ones from the Shepherds! – thank you for all your love! – handmade poloroids with attached messages is a great way to be remember my special day! A special shout out to my amazing girlfriend, Huiyi, for coordinating this effort! I’ll post pictures soon! I praise the Lord for blessing me this way! I wouldn’t want it any other way! 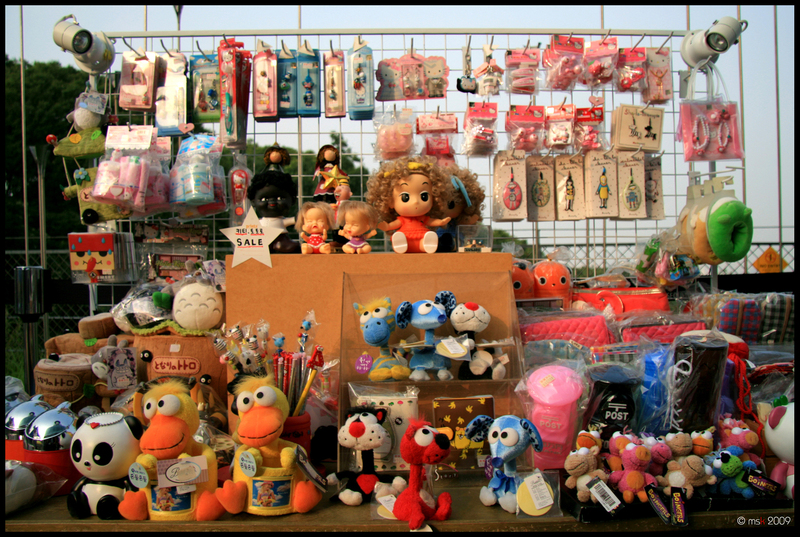 I snapped this picture at the 777-feet Seoul Tower, located on the summit of Namsan Mountain, South Korea, where stalls upon stalls displayed little knick-knacks for sale. I aptly titled this photograph, “Useless”, simply because (almost) everything in this picture is. Why do we even bother buying gifts of little or no practical use? This reminds me of what it means to give. Christmas is a time of giving and receiving. The gift of God is in His Son, Jesus Christ. The gift of Jesus Christ is His own life. I’d like to think that Jesus could have chosen not to die even though He was sent to die, hence I refuse to take for granted His sacrifice for me on the cross. With Jesus, it was solely Him giving and us receiving. So, what could we actually give to Jesus? Try as I may, I am unable to find anything worthy to give to Jesus as a form of reciprocation. Even if I were to give my life – and that’s about all that I can give – it is still an unworthy gift. To better grasp the unparalleled gift of Jesus, I realise that I could neither out-give my mother’s 26 years of sacrifice nor HY’s gift of purity; regardless of what I do now, I will never be able to give my mother or HY the equal value of their gift to me. I cannot imagine being born to die. That statement may be extreme, but even if I were to water it down, I still cannot imagine being born to give. I’m inclined to think that we have been wired to receive, regardless of how generous we have been raised to be or innately are. Every fibre of my being longs to receive more – pleasure, love, happiness, etc. It takes effort to give – at least for me it does. And so this Christmas, I’d like to give to Jesus the best gift, still unworthy as it may be, that I can ever give right now – my future – because it is unknown to me and out of my control. Join me then, in rededicating and surrendering your life to Jesus once again as He dedicated His whole life to you. It is my earnest prayer that you will find new faith, hope and love in the Lover and Savior of your soul. And just to put the icing on the cake – He’s also the Creator of the heavens and the earth, and He lived to die just for you. I conclude this entry with lyrics from two Relient K songs that made me tear the first time I heard it – “Give” and “I Celebrate The Day”. Did You realise that You would be my Saviour?